Your cells are smart. They know the forces around them, what materials they are in, and can even sense the smallest details in a bioink. Have you ever wondered how pure your bioinks are? Do they contain any thickening agents that can negatively affect tissue viability and function? 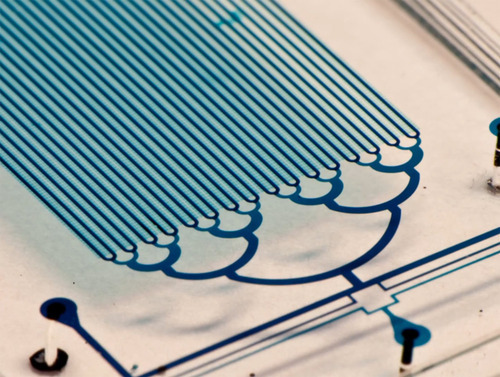 It’s worth a look at the data sheet the next time you consider using a new bioink in lab. Here at Allevi, we take great strides to source the purest bioinks that are most commonly found in our bodies. The collagens we choose provide unparalleled results that biologists and bioengineers love. There is a challenge in doing this though; pure collagen has historically been a very difficult bioink to work with because it is difficult to pattern. Low concentrations of collagen (like the concentration found in your body) have a very low viscosity, making it hard to control the geometry of the tissue and hindering cell directed proliferation. We have been working in our lab for over a year trying to crack the code on low concentration collagen bioprinting. So much amazing research has already been conducted with collagen that we wanted to make it easy for you to bring that research to the next level with 3D bioprinting. We’re proud to announce that we have finally achieved the ability to pattern pure collagen in an automated fashion. With our proprietary CORE™ printhead and our new Tissue Layering Kit, you are now able to print and pattern 3 mg/mL type I collagen or 8 mg/mL type I methacrylated collagen. This is the first time that such low concentrations of pure collagen can be printed, patterned, and layered through 3D bioprinting. We can’t wait to see what you will do with this one! The fight to ban animal testing recently scored a major victory when California became the first US state to pass a bill that would ban testing cosmetics on animals. Companies conduct animal tests to determine the safety of new formulas used in cosmetic products. 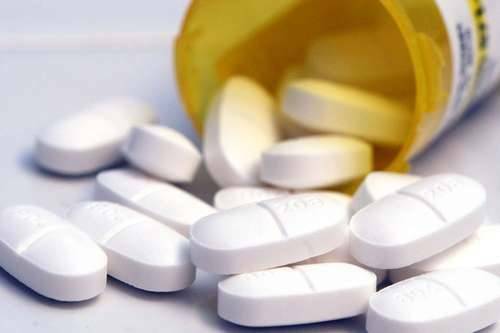 These tests include skin and eye irritation tests to study allergic reactions and “lethal-dose” testing to determine ingredient toxicity. But these tests have scientific limitations because humans and animals react differently to certain chemicals. Therefore these tests, that are meant to study the safety of cosmetics before they touch human skin, aren’t even relevant. Here at Allevi, we believe in the future of personalized cosmetic testing. Our 3D bioprinters allow researchers to customize every aspect of their study - including tissue shape, size, geometry and cell line. Imagine a world where drugs and cosmetics are no longer cruelly tested on animals, but tested on patches of human tissue. But not just any human’s tissue but YOURS because you are different from a rabbit and different from a monkey and even different from your fellow human. We applaud California for following in the EU, Norway, Israel and India’s footsteps. It’s time we replace these outdated methods; not only because they are cruel to animals but because they are ineffective. Allevi is here to usher in a new era for a cruelty free and scientifically relevant future. “The print head of a 3-D printer scrolls back and forth with a whir, laying down a line of translucent gel 0.15 millimeters thick. A flash of blue light immediately cures the material, the first of 92 separate layers. Soon, the outline of a nose appears. ‘A nose this size will take about two hours,’ said Angela Panoskaltsis-Mortari, PhD, a transplant specialist and the head of the University of Minnesota’s new 3-D Bioprinting Facility. A three-dimensional life-sized nose is just a showpiece to test the new printer, the only 3-D bioprinter on campus. But Panoskaltsis-Mortari predicts that in just a few years, the facility and a few others around the country will be churning out basic body parts such as ears, skin, or blood vessels for transplantation. Some parts may even be manufactured with a patient’s own cells to avoid rejection by the immune system. With the ability to print a structure that’s exactly the size and specifications a patient needs, bioprinting has the potential to transform regenerative medicine. ‘It becomes a part of personalized medicine,’ says Panoskaltsis-Mortari. Bioprinting is just one of the more revolutionary medical applications of burgeoning 3-D printing technology. 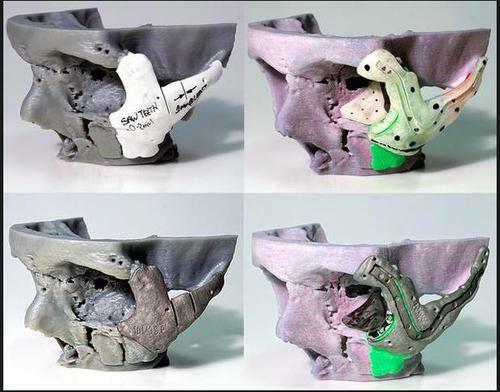 In the last couple of years, 3-D printing has provided models for teaching and for designing medical devices. It has allowed doctors to better communicate with patients and parents about surgical procedures. 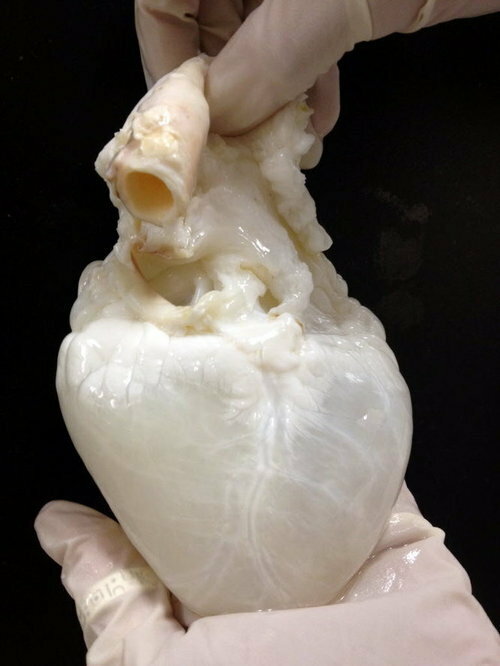 And it has replicated natural human systems such as hearts and blood vessels to help doctors evaluate surgical techniques. Three-dimensional printing, sometimes called additive manufacturing, fabricates objects directly from digital files. Software slices a 3-D image into dozens, hundreds, or even thousands of layers. It then instructs the printer to lay down layer after layer of material, usually some kind of molten plastic or polymer hardened by exposure to ultraviolet light. University of Minnesota Health Pediatric Cardiothoracic Surgeon Robroy MacIver, MD, MPH, who sees patients at University of Minnesota Masonic Children’s Hospital, 3-D-prints a life-sized heart from his young patient’s MRI or CT scans. Then he can describe to the parents the defect and the surgery he is about to perform. For all the excitement about 3-D printing, the possibility of printing with lifelike organic material, including a patient’s own cells—called bioprinting—is perhaps most novel. Bioprinting may solve several problems, such as chronic shortages of organs and tissue for implants, and poor genetic matches between donor and patient that lead to tissue rejection. With 3-D bioprinting, transplantable tissues and simple structures will be made to order and printed on demand, perhaps seeded with the patient’s own cells. Then a bioprinter fell into her lap. The young founders of Allevi gave printers at deeply discounted prices to 20 research facilities around the world — including Panoskaltsis-Mortari’s lab. Her team is beginning work on 3-D-printed pieces of an artificial esophagus and trachea to sew into an animal such as a pig. There are still plenty of problems to solve. What kind of biocompatible material will be tough enough to hold sutures? Will it support cell growth? What’s the best way to seed cells on the piece? How thick can a printed part be? ‘Hopefully, we can coax blood vessels to grow into it, to provide nutrients to it,’ Panoskaltsis-Mortari said. 3D bioprinting is an intuitive way to approach biology. But not many people realize its versatility. 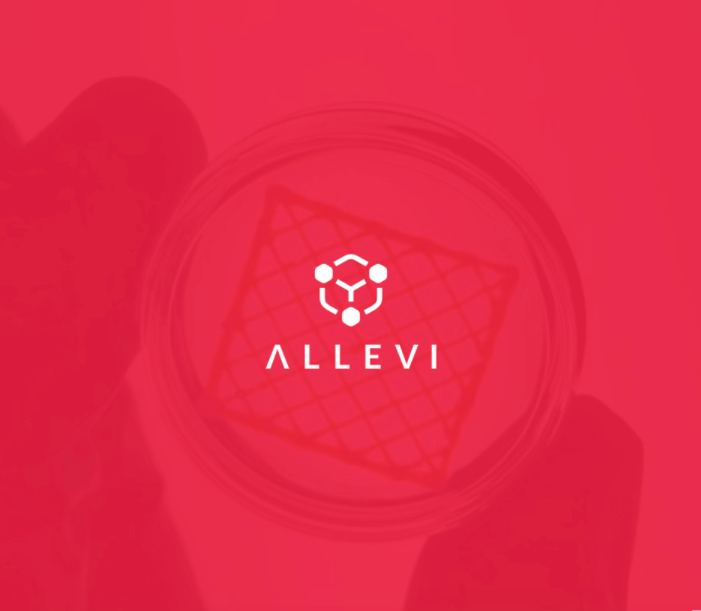 To give an idea of what is possible through 3D bioprinting, we’re starting a little series called “Allevi Applications.” Hopefully, this will make the idea of bioprinting a little more accessible! So without further ado, let’s get started. 1. 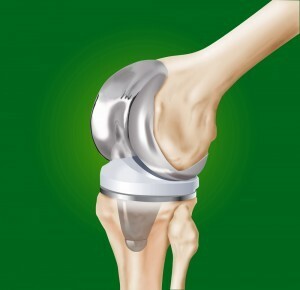 Joint replacements, think knee, ankle and elbow. And our users are just getting started. Check back as we cover new publications from #Allevi Authors and see what amazing applications they come up with next.